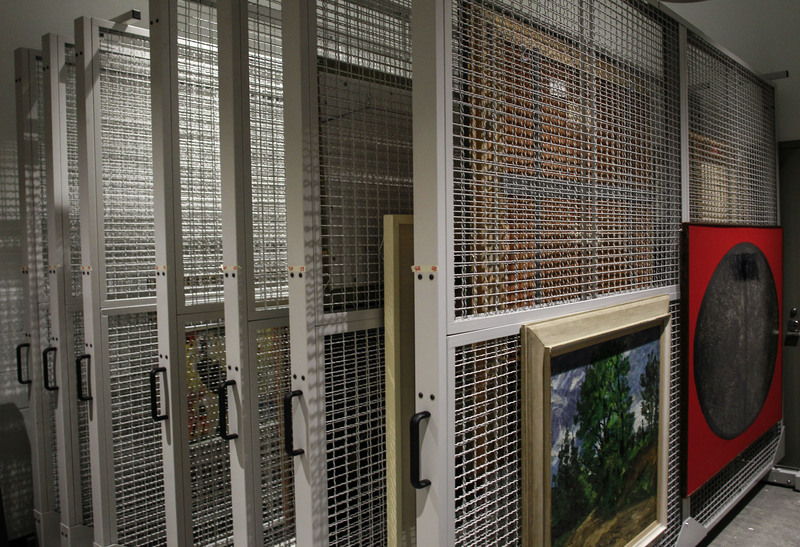 In a vault in the basement of the Nest are 71 works of art by some of the most celebrated Canadian artists in history. Deep within the Nest, there is a vault. What lies inside is worth almost $4 million — and you own it. Between rows of rolling walls are 71 works of art — acquired over the years for just under $700,000 in total — by some of the most celebrated Canadian artists in history. This is the AMS permanent collection and it’s been around since the 1950s. If that’s news to you, don’t worry. Despite its long history, the student-owned collection has struggled to find its place amid decades of change and neglect. A lack of funding, space and general apathy from the AMS have kept the collection out of sight and out of mind. But things are changing. The AMS recently renewed its interest in the collection, establishing a committee to pursue the sale of up to four works of art in 2017. In August, the society approved the sale of Jeune fille en uniforme by Québec’s Jean Paul Lemieux, a painting that is estimated to retrieve at least $300,000 in an upcoming auction with Heffel, a Canadian fine art auction house. There are plans to increase the visibility of the remaining art through the Hatch gallery. Now that the oft-forgotten works are making their way back into the limelight, The Ubyssey decided to dive into how the only fully student-owned art collection in Canada came to be. Few students are aware of the collection’s existence, let alone its size, quality, star-power and immense monetary value. “I think it’s a largely foreign concept for people to imagine that a student union could have an art collection,” said AMS President Marium Hamid in a June interview with The Ubyssey. Dr. Robert Belton, an associate professor of art history at UBC, first discovered the collection in 2004. “I was astonished at the stuff that was in there,” he said. Robert Heffel, a UBC alumnus and vice-president of Heffel, said the collection was never hung during his time at the university. 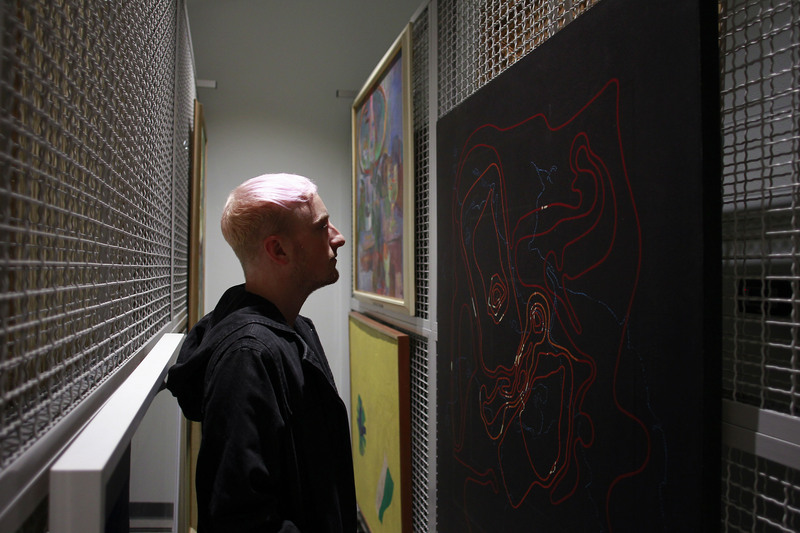 Hatch Gallery Director Maxim Greer is pretty sure many students don’t even know it exists. While admittedly unlikely, the collection is a result of a long, tumultuous history of faculty, student and artistic collaboration. In the early 1940s, English professor Hunter Lewis proposed that students, aided by faculty members, should develop a unique collection for the student union building in Brock Hall. 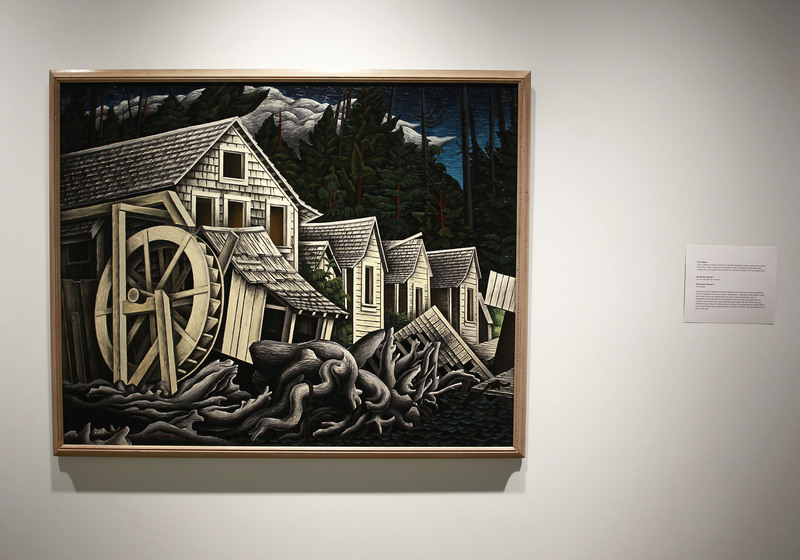 In 1948, he helped the AMS purchase its first piece: Abandoned Village, Rivers Inlet, BC by E.J. Hughes. Painted in Hughes’ typical landscape style, Abandoned Village depicts a deteriorated settlement being slowly engulfed by the wilderness — gnarled wood, undergrowth and lapping waves permeate the vanishing village. The AMS paid $150 for the painting. Today, it is one of the most celebrated and valuable works in the collection. In 2016, another Hughes painting from 1949 was sold for a record of almost $1.6 million. Heffel believes the collection showed “a tremendous amount of foresight” thanks in part to the efforts of people like Lewis and B.C. Binning, who founded the UBC fine arts department. An artist himself, Binning used his extensive knowledge and connections in the art world to help students procure 23 art works until his retirement in 1968. His friendship with the Group of Seven members and Lawren Harris in particular helped procure Northern Image, another highly influential work in the collection. 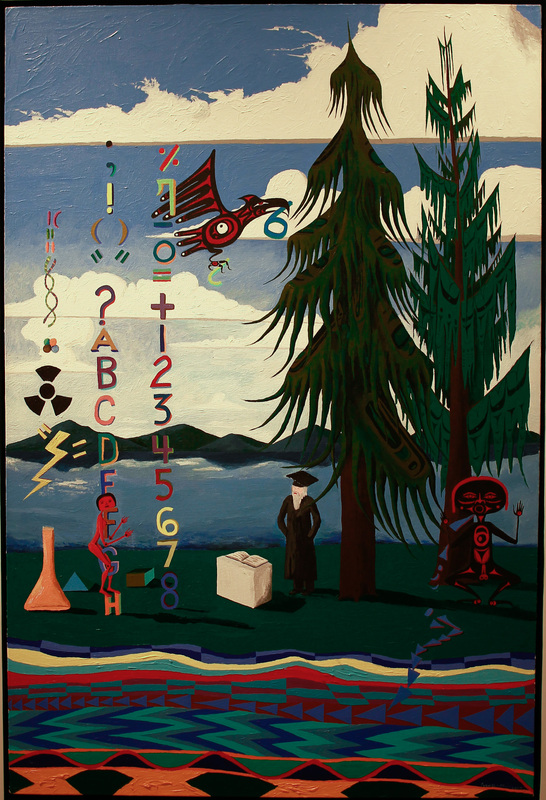 In 1958, Maclean’s magazine commissioned nine artists to create works of art representing BC in honour of the province’s centennial, and Binning convinced the magazine to donate the finished works to the Brock Hall art collection, cementing its importance in the Canadian art scene. “In the pictures shown here there seems to be a common approach: no single human being, and little of man’s works, are shown — only sea, forest, mountain and river,” wrote Maclean’s. Under the leadership of Binning in particular, the collection saw rapid growth through the ’50s and ’60s. In 1965, Binning helped organize what would become the only showing of the collection outside of UBC at the Vancouver Art Gallery. The art was always accessible to the average student — perhaps even too accessible. What made the Brock Hall art collection so unique was the fact that the art hung on the walls of the Student Union Building, not a separate gallery. One downside to the public accessibility of the paintings was the vandalism that occurred as students did what students do: drink. One morning in 1960, Jack Markell’s The Shawl and Gordon Smith’s Tangled Undergrowth were discovered dripping with paint. A pot of paint and an empty bottle of rum were found near the scene of the crime. It wasn’t the first incident, either. 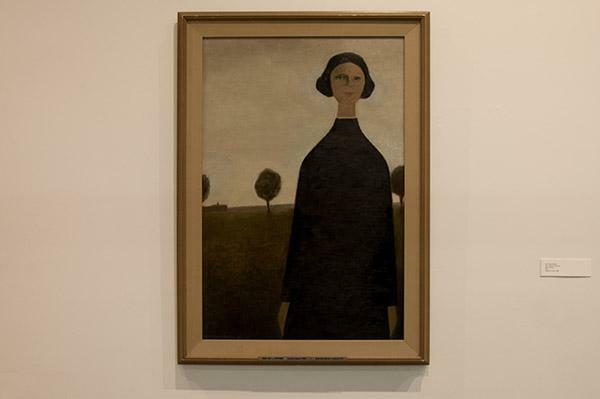 A year earlier, one painting was stolen and three canvases were slashed. Sometime during the night, a sloshed student used their hands to smear red paint on the canvases and windows. Perhaps feeling their next move required more precision and a different colour, they then took a paintbrush and wrote on the windows in white paint: TSINUMMOC KNURD (“drunk communist” spelled backwards). The collection was moved to the then-new Student Union Building — now the Life Building — in 1970, which had its own art gallery. Fearing further vandalism, the AMS declined to display the paintings anywhere else. The 1970s saw a restructuring of the AMS committees designed to commission and acquire art for the collection. The society created a separate purchasing committee and gallery committee. More importantly, students would now be responsible for forming the committees instead of a UBC professor. This was the beginning of a fully student-owned and run collection. But neglect, bad storage conditions and poor security began to impact the collection and the art began to deteriorate. In 1974, there was a supposed heist, with The Ubyssey reporting 8 to 18 missing or stolen works. None of the Brock Hall committee members seemed to know what had actually been stolen. Because of poor record-keeping, the committee did not know how many paintings were in the collection to begin with. “The damage people have done to some of the paintings is amazing,” said committee student member Lynn Orstad to The Ubyssey in 1974. She mentioned people slit the frames, wrote on the works and ripped the canvases. One work appeared to have had a tomato rubbed into it. The committee wasn’t sure how many master keys existed for the gallery and admitted security was non-existent. Further controversy would plague the gallery in the next decade. In 1980, a report by the Student Administrative Committee suggested turning the gallery into a lounge, criticizing inefficient use of gallery space. In 1982, this idea was put into action, leaving the gallery and its art in limbo for a year until it was reopened. While the AMS would eventually improve the security and storage of the work, the lack of interest described by the gallery president never faded. It was not until 2012 — 44 years after Binning’s departure — that the AMS would start to seriously consider the future of the collection. The society purchased several works of art in the 2000s, but this period was relatively uneventful. The last work was acquired in 2007, but today, an acquisition budget no longer exists. Greer said there are currently no plans to purchase more art. The idea to start selling the paintings was first proposed in 2009 at an AMS Council meeting. In 2012, the society successfully passed a referendum that would allow them to sell up to three works of art from the collection. However, nothing materialized for a long time. Suddenly, the AMS began to take more of an interest in the collection. In 2015, the Hatch Art Gallery opened in the Nest, with better security and storage in a temperature-controlled vault. The following year, the AMS started renting out the collection and councillors returned to the issue of selling the collection. Then-AMS President Ava Nasiri was in favour of selling the three most expensive pieces, while others cautioned against the faux pas of selling gifted works. In 2017, the society took a second crack at a referendum to authorize the sale of four pieces. While some students bristled at the idea of selling the paintings, unsure of where the money would go, the referendum ultimately passed and the sales were authorized. SHAPE identified two pieces with the highest likelihood of selling: The 1957 painting Jeune fille en uniforme by Lemieux and a sculpture, The Psychopathology of Everyday Life by Rodney Graham. Jeune fille is, at first glance, a simple work. The painting was on display at the Heffel Gallery in Vancouver from October 27 to 30. It is now making its way to galleries in Montreal and Toronto as part of the auction preview and, on November 21 at 4 p.m., the painting will be auctioned off in Toronto. Heffel noted that while the fine art auction house boasts an international clientele, works by Canadian artists almost always make their way into the hands of Canadian collectors. Earlier in 2018, the AMS was approached by Heffel, well-known to be the leader in the sale of Lemieux’s work. The auction house also holds the record sale of a Lemieux painting: Nineteen Ten Remembered sold for $2,340,000 in 2011. At its August 1 Council meeting, the AMS approved the sale of Jeune fille en uniforme and consigned the work to Heffel. In a proposal document for the sale, Heffel estimated the painting would garner between $300,000 and $500,000 at auction. longstanding neglect, it also raises an important question: Why should we care now? Why not just sell the rest of the collection, which was recently assessed at around $3.6 million? It would fund an immense amount of student art and maintenance of the remaining works — isn’t that the whole point of a student art gallery? Not so fast, said Greer. 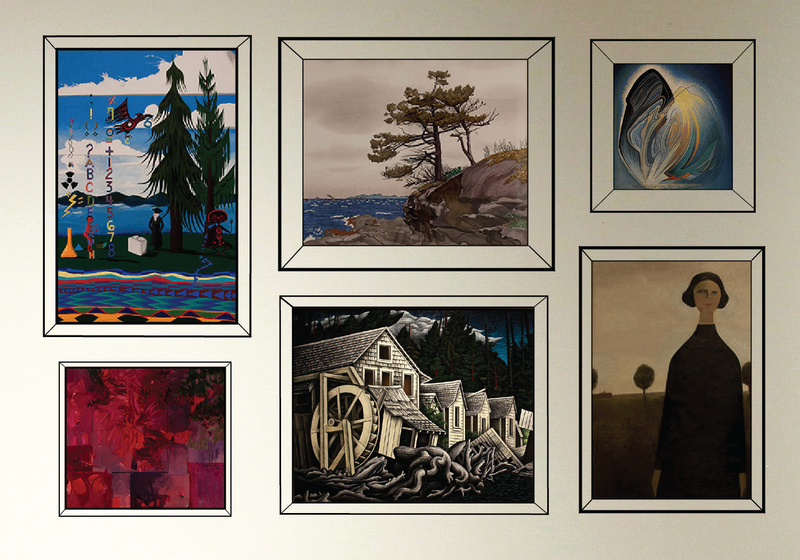 He believes the Group of Seven works by Lawren Harris and A.Y Jackson contribute an intrinsic value to the collection that cannot be replicated. “If you get rid of them, then the importance of the collection is diminished,” he said. 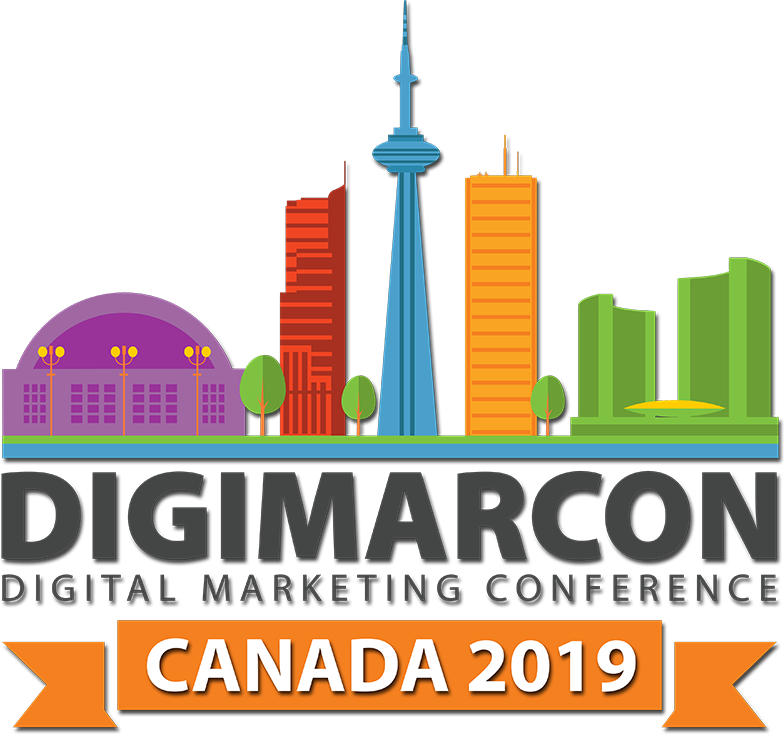 The collection boasts two works by Lawren Harris, perhaps the most famous and internationally recognized artist in the collection (even American comedian Steve Martin is an avid collector of Harris’ works). Mountain Spirit and Northern Image are radiant, fluid abstract works that reflect Harris’ spiritualism and mysticism. Belton characterizes Harris’ work as evoking feeling beyond the visual in its viewers. “It was never a painting of a mountain, it was always a painting of the feeling of transcendence ... that the mountain provides. The real trick is trying to make a painting of something that doesn’t exist visually, so to speak,” he said. One work which does just that is Untitled by First Nations artist Lawrence Paul Yuxweluptun, who was commissioned for the work in 2003. While the collection’s earlier landscape works depicted an untouched British Columbia, Yuxweluptun — who is of Coast Salish and Okanagan descent — challenges the exclusion of Indigenous inhabitants who were connected to and living on the lands long before European settlers colonized the region with Untitled. The painting is also critical of the university’s relationship with First Nations and its place on unceded territory, reflecting marginalized histories that are demanding a voice more and more in the Canadian art landscape. For these reasons, the AMS recognizes the permanent collection as an important and invaluable body of work, for enjoyment and for reflection alike. But it is only recently that they are pushing to make the collection accessible to students. Greer admits there is a “disconnect” between students and the collection. He cites some of the gallery’s past exhibits as an example. A poster advertising the 61st anniversary of the collection calls for semi-formal attire. “It’s very fancy,” he said. Under the direction of Greer, the Hatch Art Gallery has made an effort to increase the visibility and accessibility of the collection. The gallery’s front space displays two pieces from the collection on a rotating basis. A screen advertises the collection and volunteers hand out its catalogue which had previously sat in storage. Plans for the collection’s 70th anniversary in 2019 include an exhibition and tours of the vault. But accessibility goes beyond visibility when it comes to making students care about a living collection many may see as a relic. “Art is a way to comment on the real world and society. It’s not just about colour and being pretty,” said Belton. He remembers a time when UBC Okanagan had a “controversy wall” in which contentious artworks were put on display to stoke academic discussion and debate. Greer agreed. “I think [students] should care because art conveys a lot of political, historical, social storylines and narratives that are important. Student-owned and curated collections are a rarity, which Greer and Belton argue is also why the AMS collection is a unique opportunity for art to empower. “It’s a rarity to have a permanent collection that’s owned by students. I think it should stay in the hands of students so that they have a hand in how it’s handled, its history and how it’s displayed,” said Greer. Belton noted when students purchase and curate art, they do so with a unique worldview. “The genius of the students collecting this stuff with mentorship advice and all that is they are going to have their eyes peeled for things that are really good quality and really interesting ideas that aren’t just going to naturally come to mind,” he said. The AMS permanent art collection has struggled to define itself, especially in the past few decades. But the collection is evidence of the power of student-led art initiatives, reflecting evolving values and interests over decades of art history, cultural trends and student governments. Besides tracking the progress of Canadian art, the collection tells us about ourselves — who we were, who we are and where we are going. “As a student here, if you’re interested in the arts — particularly in the era of B.C. Binning — there was a lot of excitement, a lot movement, a lot of things going on [at the time],” said Greer.